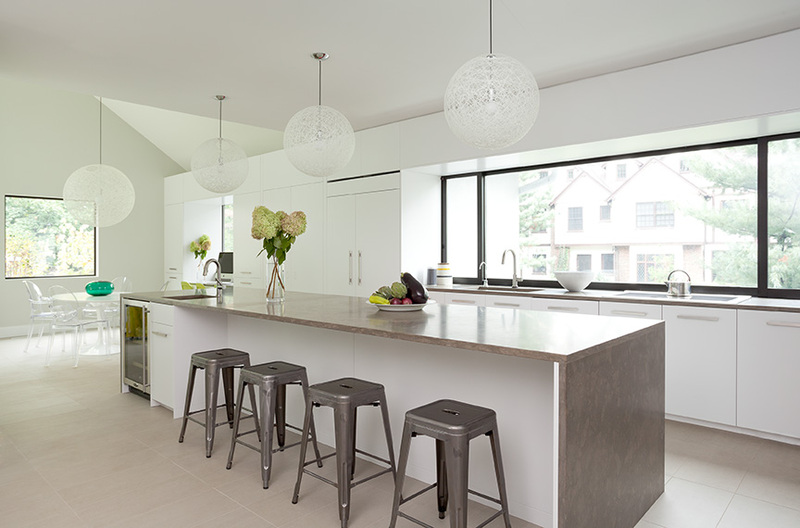 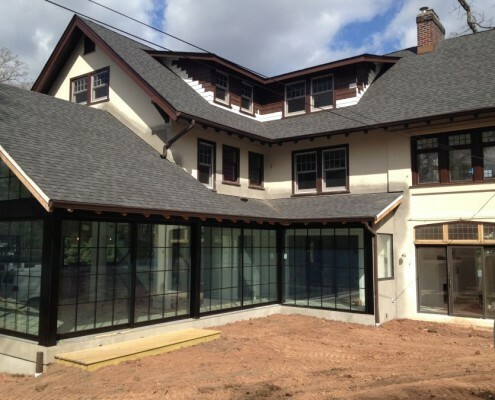 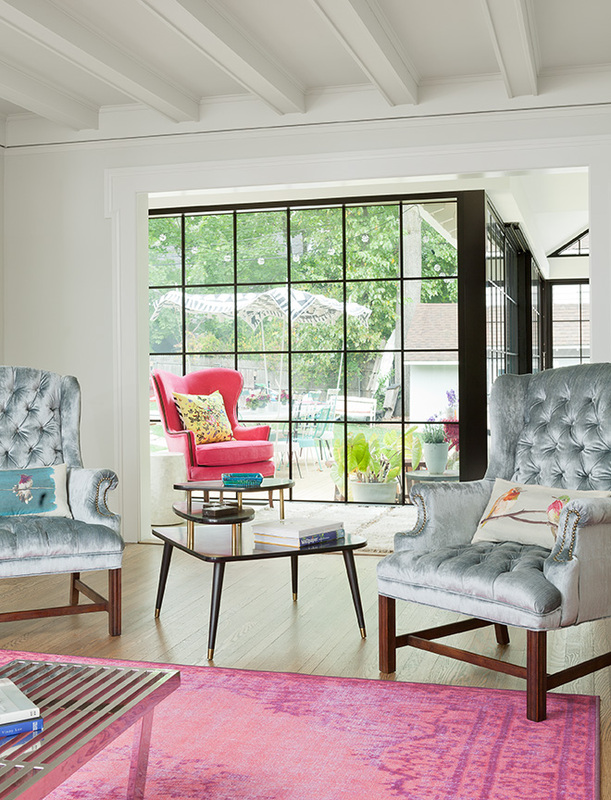 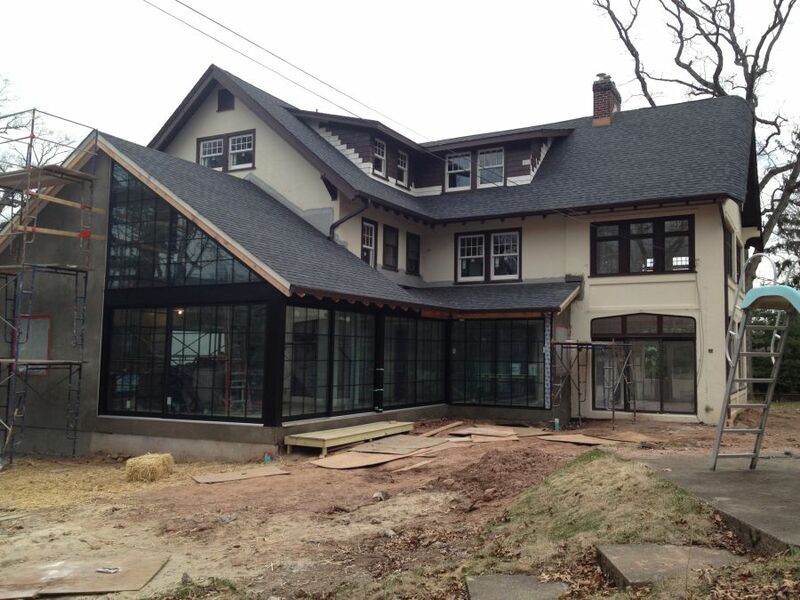 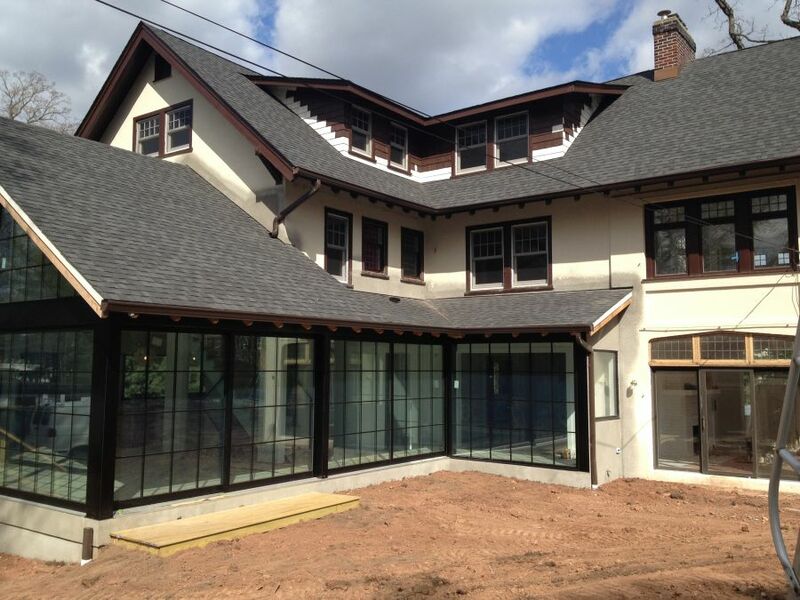 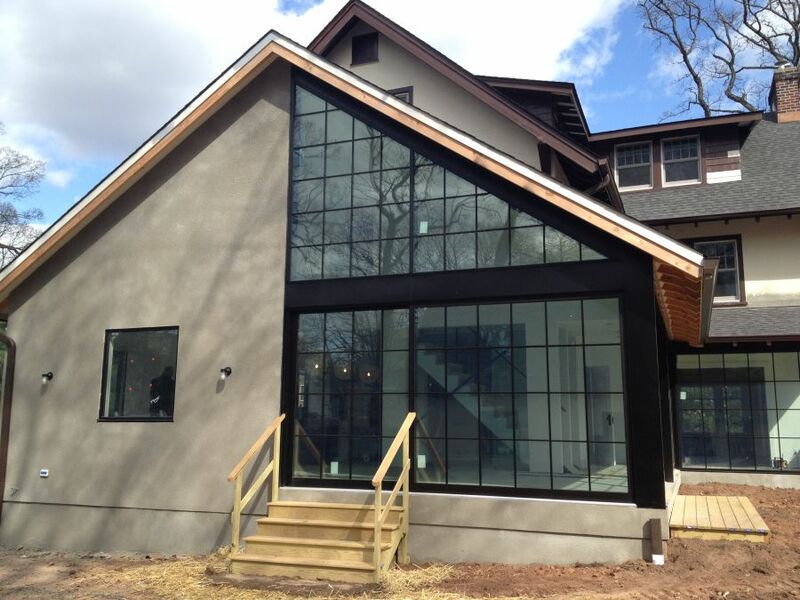 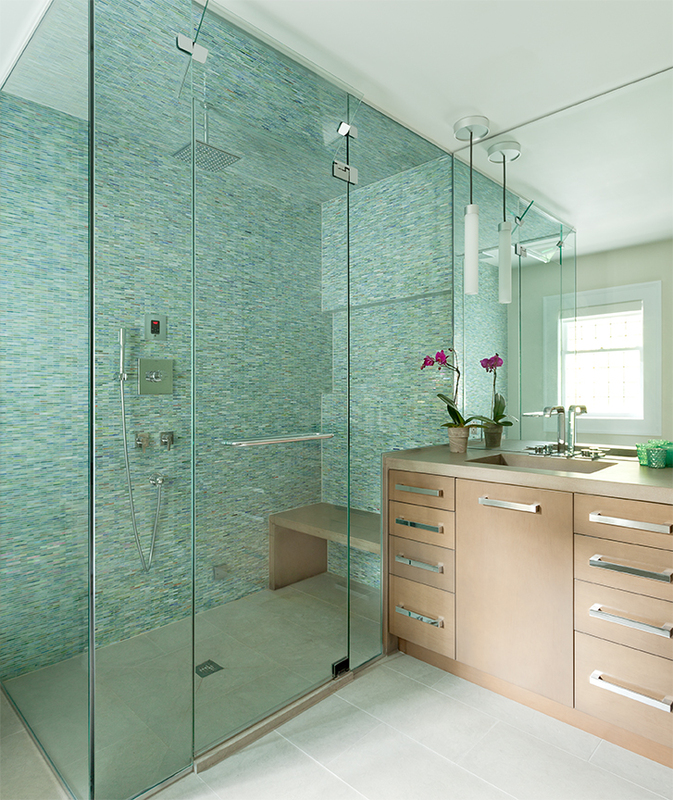 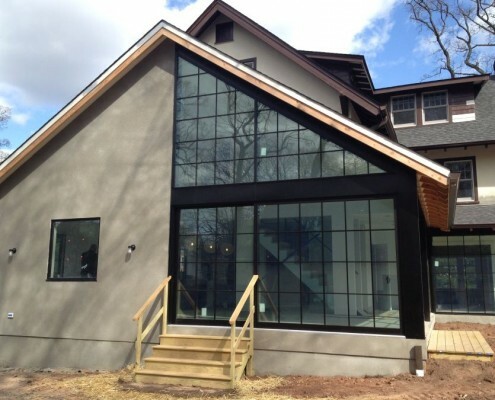 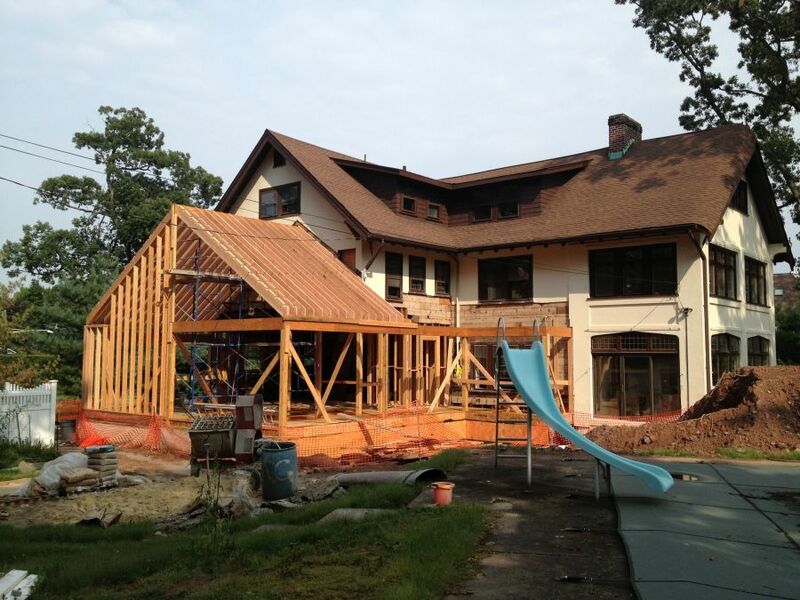 This project was a total renovation of a Craftsman Colonial with contemporary addition and open floor plan, located in Montclair, NJ. 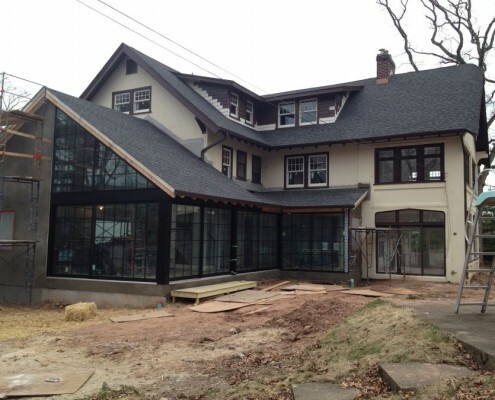 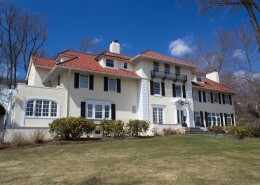 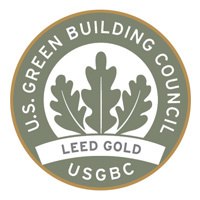 The design called for removing the existing kitchen addition and expanding the building envelope to include a new contemporary style kitchen and family room. 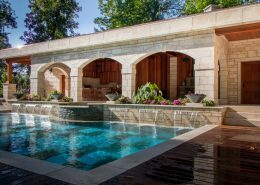 The design was dependent on integrating the exterior landscape with the use of large windows and a 12’-0” wide sliding glass door. 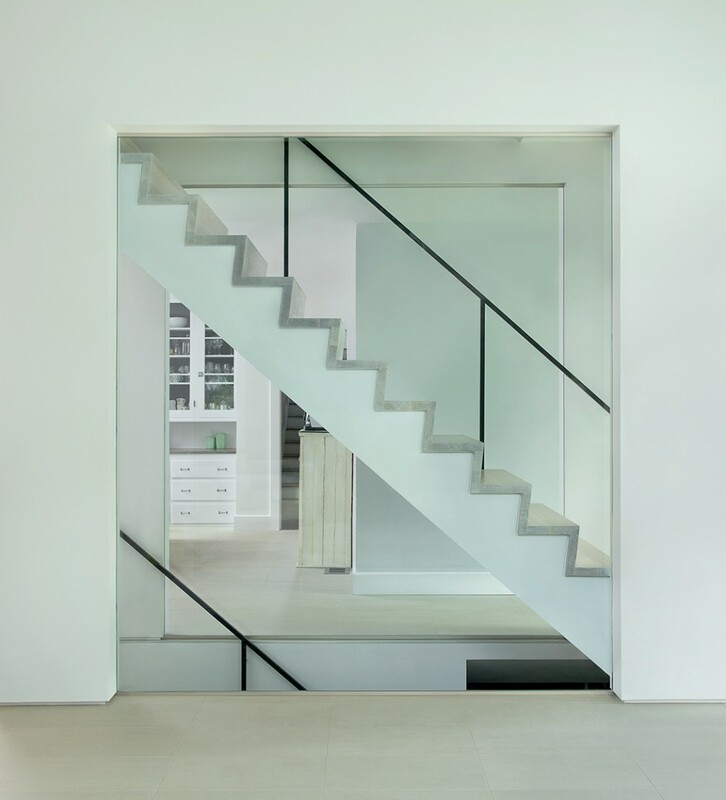 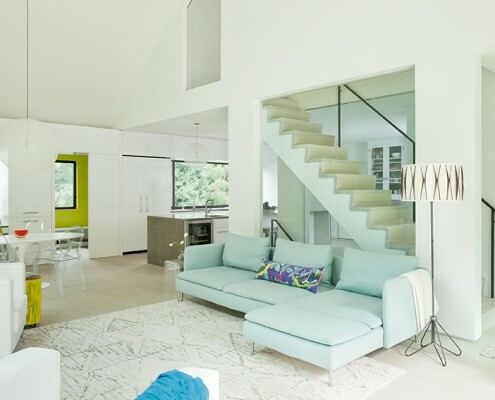 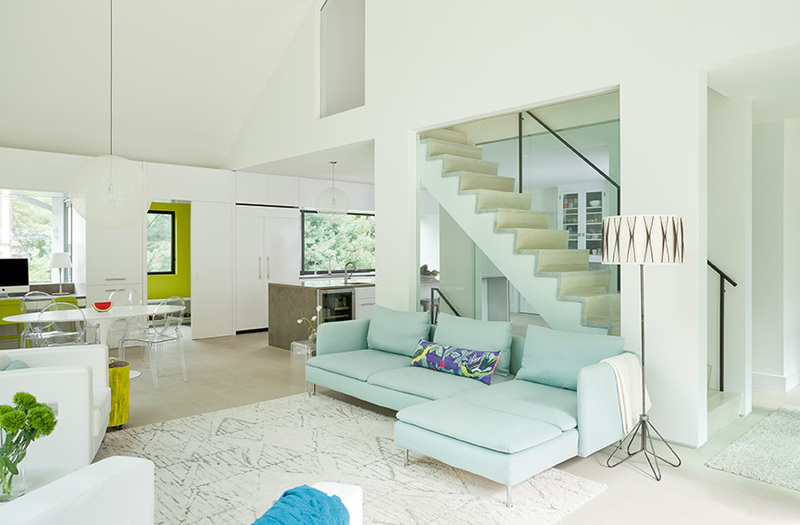 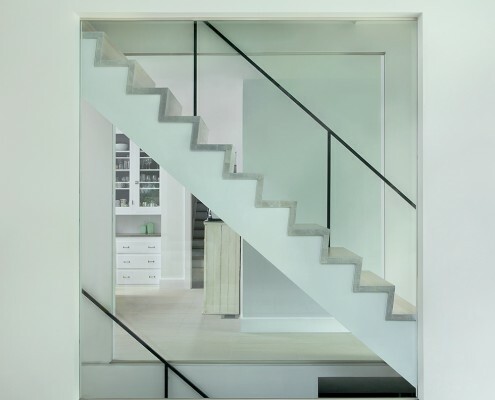 The kitchen and family room encompass a secondary floating stairwell with glass side walls for the guardrail. 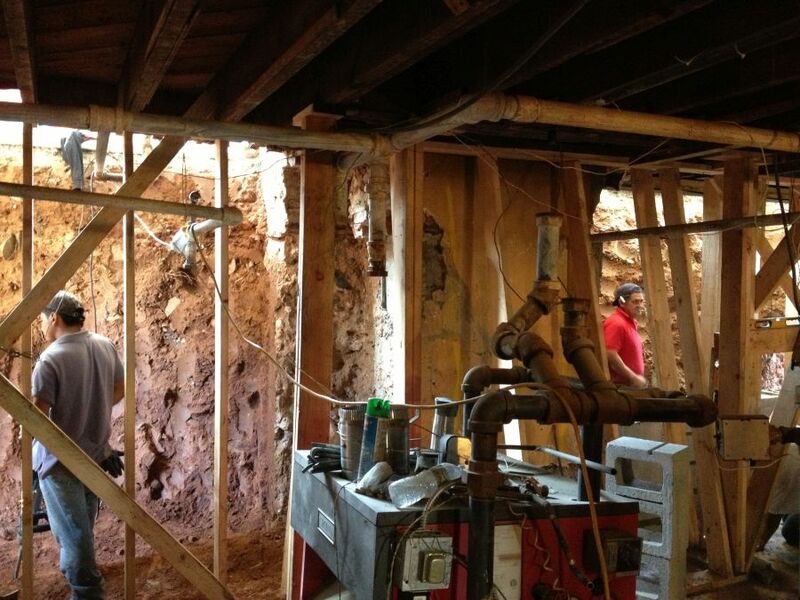 Included in the scope of work was the complete replacement of the foundation. 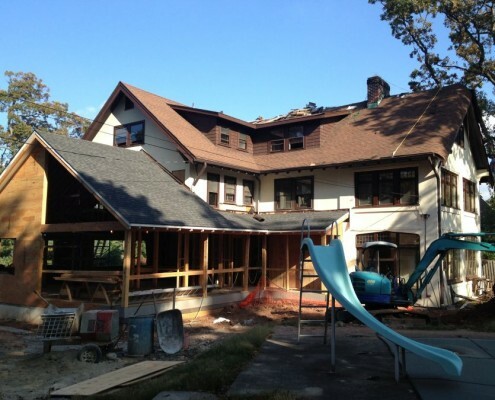 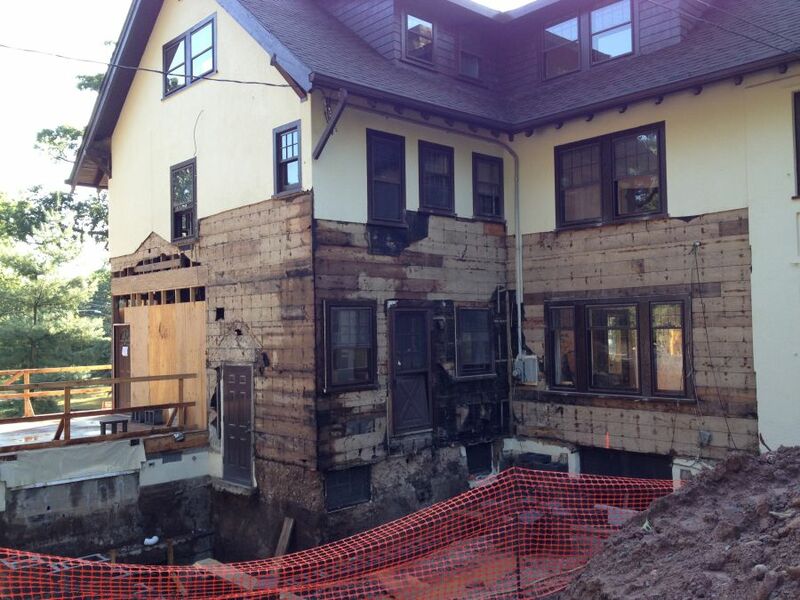 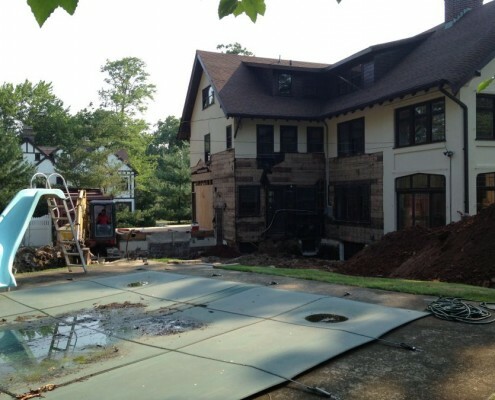 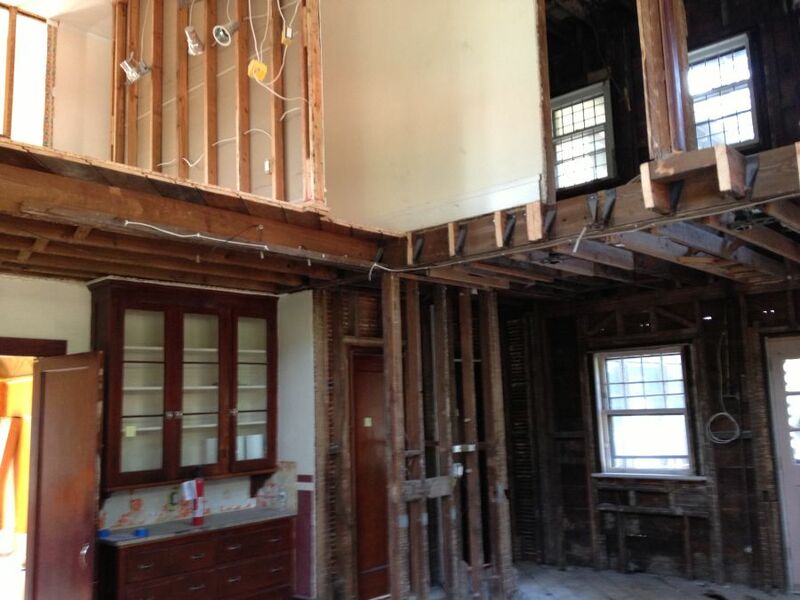 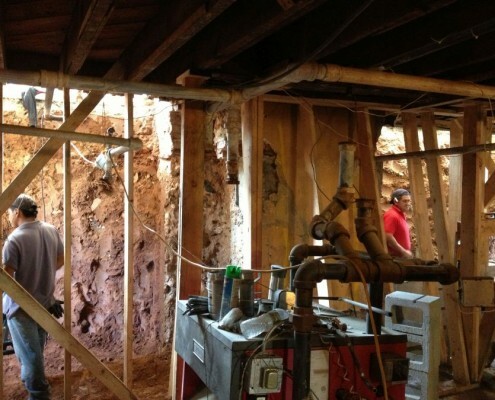 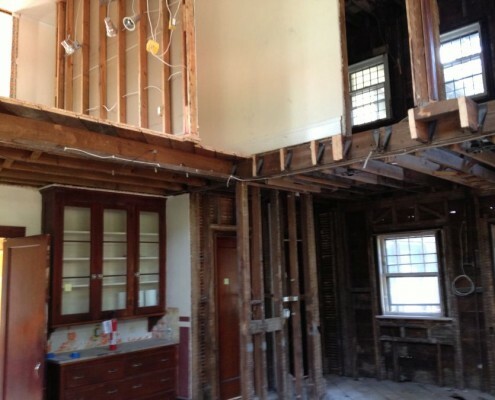 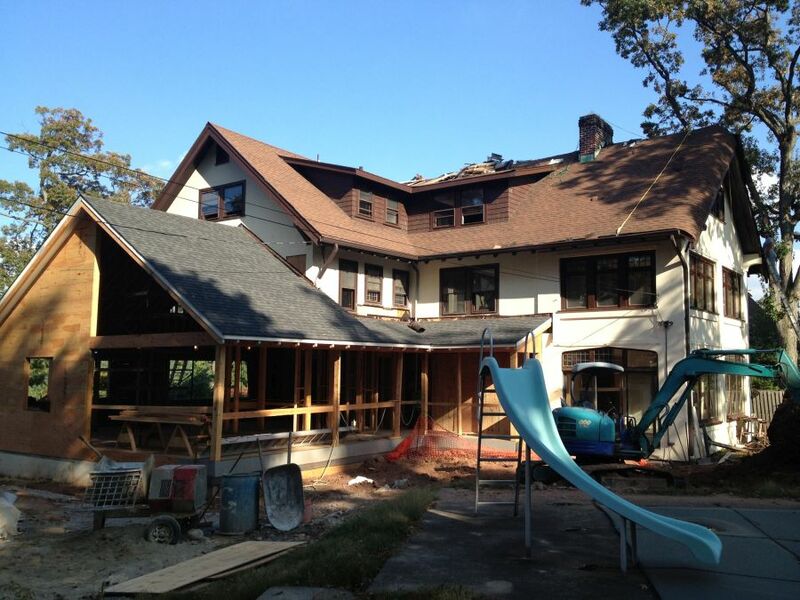 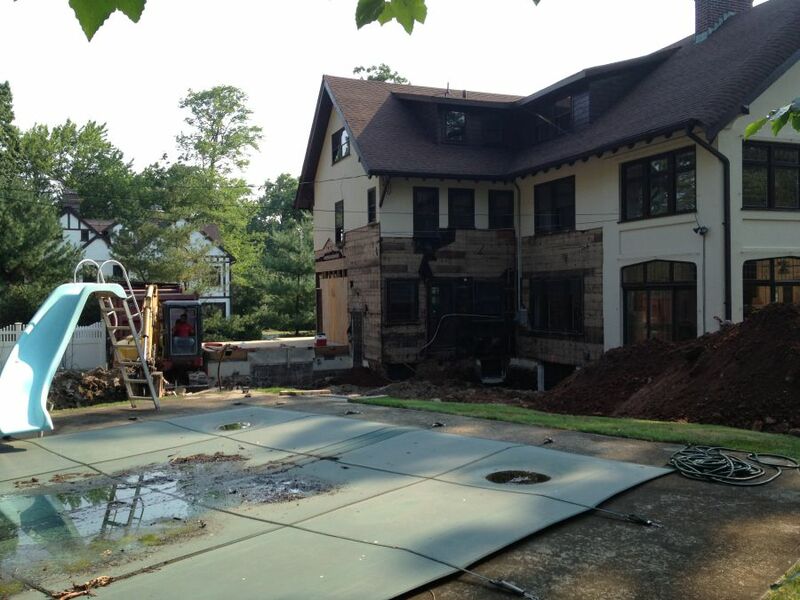 During our initial site visit it was identified that the existing foundation was in disrepair and needed to be rebuilt. 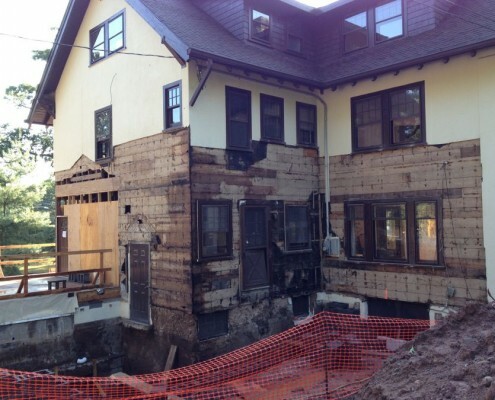 Jack Finn and Company coordinated the replacement with a structural engineer and our masonry contractors. 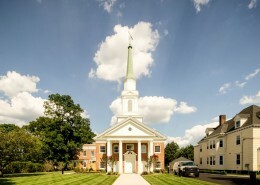 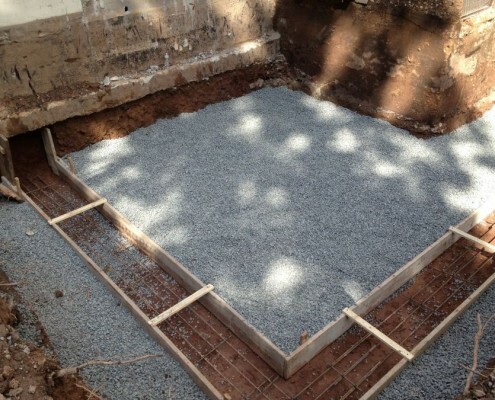 Upon completion, the foundation was structurally sound. 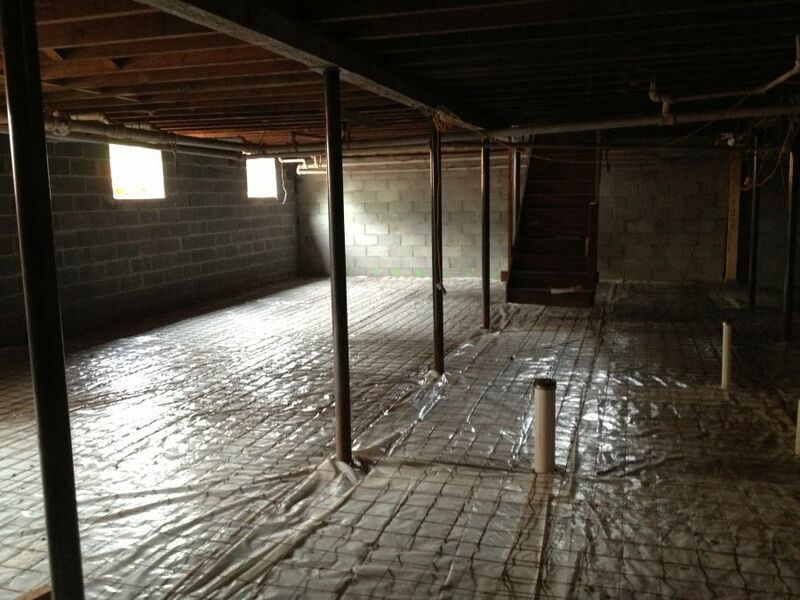 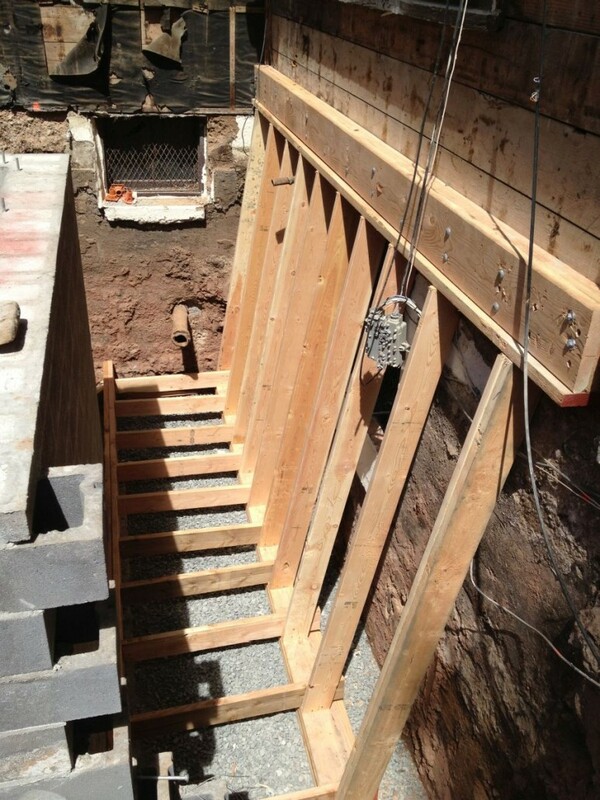 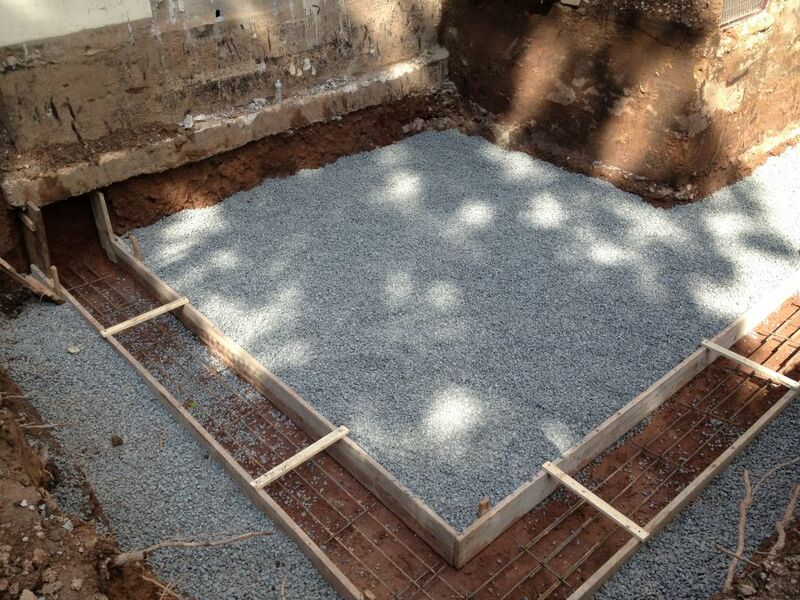 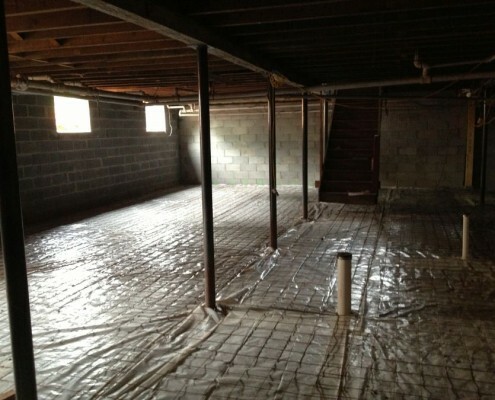 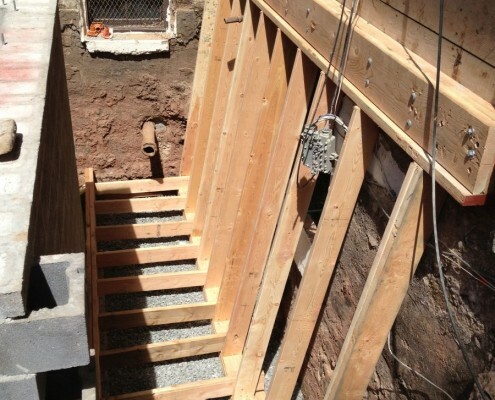 A new French drain was installed and the basement was finished to create a new living space. 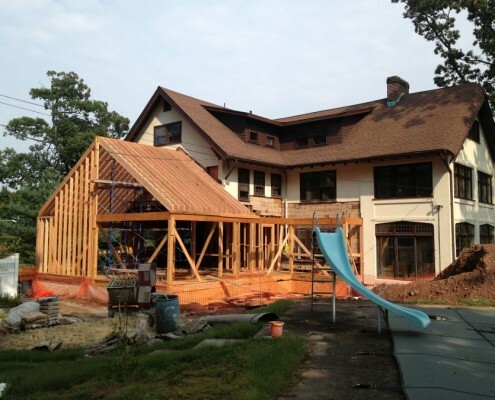 Known locally for his quality of work and attention to detail, Jack’s construction team of experienced project managers, carpenters and tradesmen brings their expertise to the construction site for a timely completion of every job, with elegant results.